IT Physical Infrastructure Management is part of the ITIL Standards and is also an essential part of Data Centre Infrastructure Management (DCIM). From design and deployment, to day-to-day operations and monitoring, to planning for capacity and growth, our solutions give you unsurpassed visibility, validation, and control over the physical layer. Our service and product range allows a company to improve network reliability and availability while increasing the productivity of IT resources that are tasked with maintaining these networks. Appliances are simple, low cost and require no additional resource development. Appliances can operate independently or as part of an enterprise management solution. With the installation of products, the IT staff can now monitor the computer room, whether at their desk or working from home. Units can also been configured to alert technical support staff of potential issues via email, SMS or via SNMP. This in turn allows any problems to be fixed before they affect system availability in any way. We can guarantee a far higher level of service for IT support departments that can now react to problems more quickly and efficiently. StruxureWare Data Center Expert collects, organises, and distributes critical alerts, surveillance video and key information, providing a unified view of complex physical infrastructure environments from anywhere on the network. 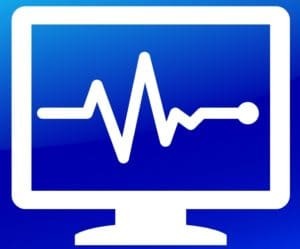 If we can help your company with its IT Physical Monitoring needs contact us.